On a day trip out to Stratford Upon Avon, we decided to take a detour on the way home to Leamington Spa. While looking for a car park we drove past a little independent looking shop - Berylune, which I thought looked nice and was the type of place me and Beth like to explore. It didn't disappoint. Filled with various products from stationary, gifts, books, home interior pieces and - uh oh - a selection of toiletries. Immediately my eyes and nose were drawn to the soap. A unique looking package made out of thick paper, with grey stitching down the sides with a silver eye hole. There was a small opening at the top which allowed me to obtain a whiff of the green seaweed soap and it smelt lovely - a very fresh plant based scent with a hint of mintyness. A brief typography on the front in charcoal, describes it as being refreshing, and with it containing minerals for the skin, I felt this would be a great purchase to help the repair and hydration of my skin following a recent 10 day holiday in Crete. There is an immediate good lather. I didn't feel that you had to use loads in order to gain good coverage. There was a very fresh scent, that with the water you could easily of been by a coastal rockpool surrounded by the sea and fresh seaweed. You could feel the mint rather than smell it, a very slight tingle was refreshing and not uncomfortable and is ideal for a early morning perk up and skin refresh. 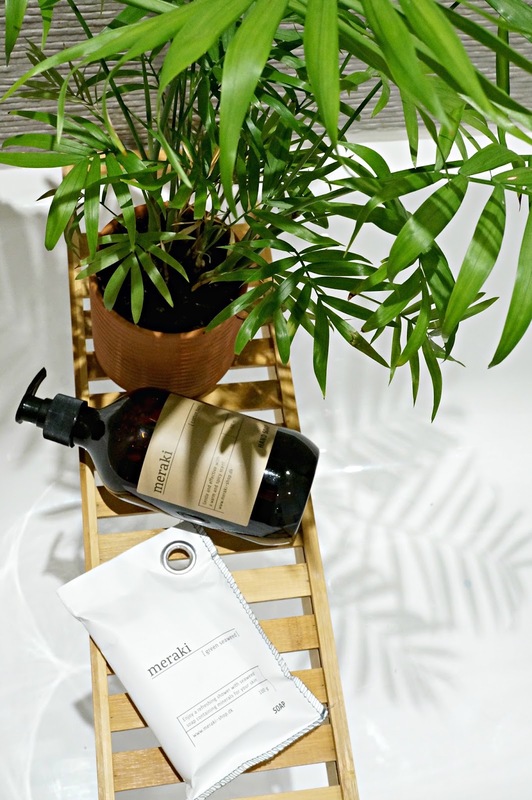 What I found here, was that unlike some shower gels, it felt that it had been a healthy addition to my skin regime - it cleansed really well, smelt great and afterwards I didn't feel my skin crying out for a more hydrating product in addition. 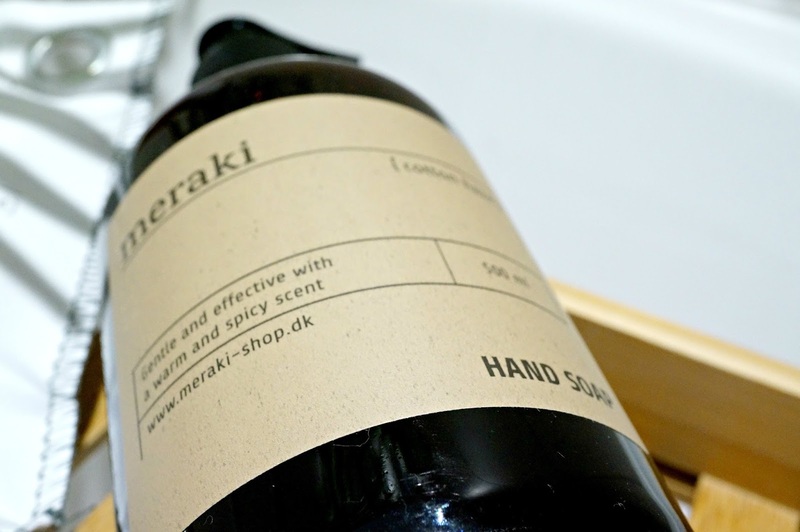 Next to this was a hand soap by the same brand - Meraki - a simple brown bottle with a textured almost wood-like label, which wouldn't look out of place in any high end interior magazine or editorial. It has all the Aesop vibes going on! The cotton haze range is described as being gentle and effective with a warm & spicy scent. Cue me taking the lid off to take in the soaps scent. It did not disappoint - I was hit with spicy, citrus, warm notes which are of a real appeal to me. What I will add to this is that this would be best saved for the winter months, the scent is quite festive and could easily belong in a christmas themed candle (If there are any readers that have smelt or used the Lush shower gel - Hot Toddy, you are getting a very similar scent). 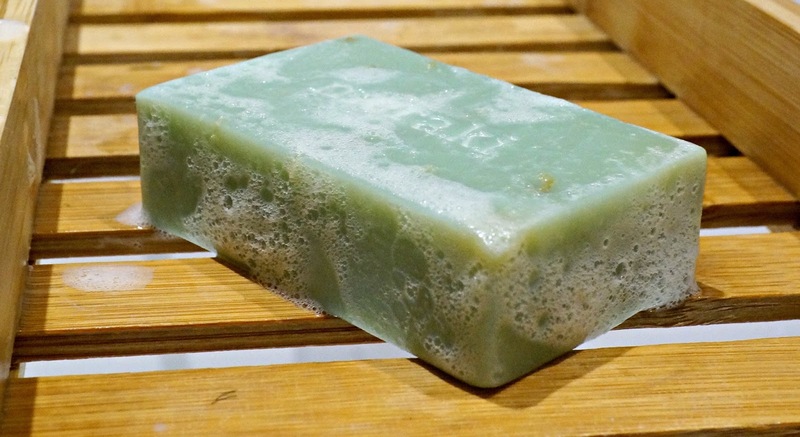 The actual soap itself provides a good lather when washing your hands and the fragrance hits you with out being overpowering, what you would also hope is that the scent remains for a period and doesn't simply disappear straight away. I'm pleased to say this sits with you without taking over any other fragrances you may be wearing, you feel it has done what you want form a hand soap and just as important you don't feel like your skin has been dried out which a number of hand soaps I find do. 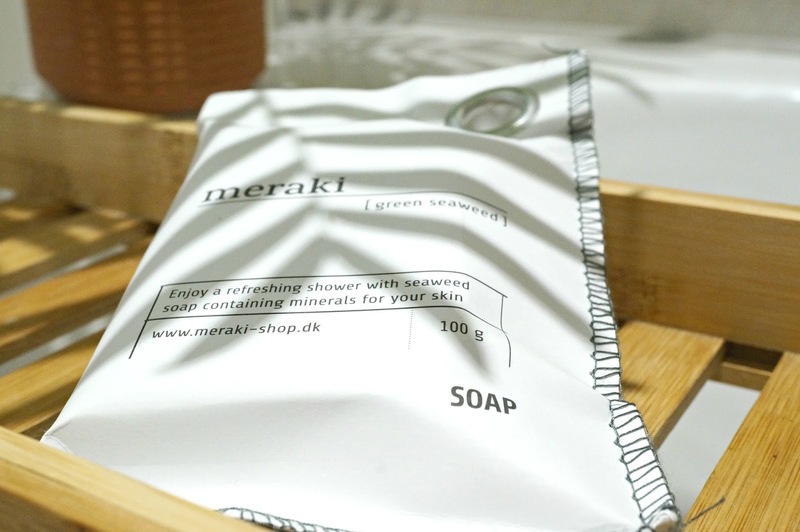 Meraki has a great look to their packing; very on-trend with the skandinavian looking packaging and typography which is consistent across the ranges, this would like great adorning any home bathroom that has the Skandi style theme about it. 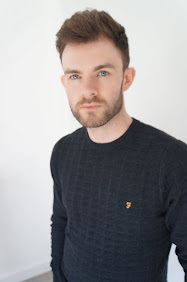 I can't wait to try some of the other ranges they have to offer and highly recommend a trip to my new favourite independant store in Leamington Spa - Bery Lune.